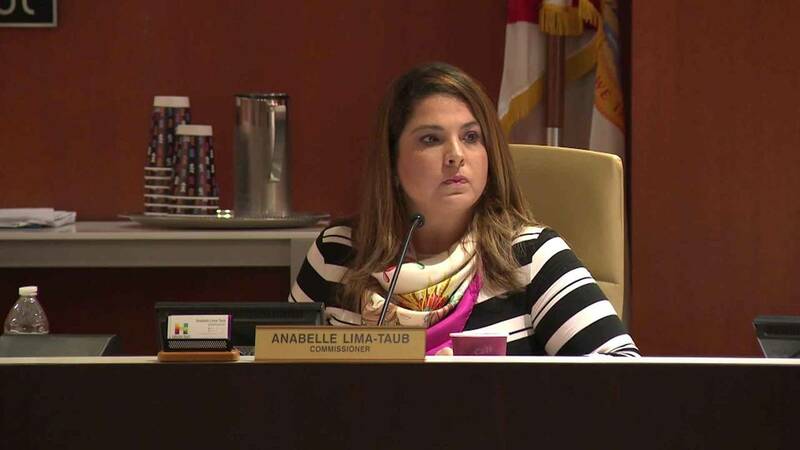 HALLANDALE BEACH, Fla. - The Hallandale Beach City Commission passed a resolution Wednesday condemning recent comments by Commissioner Anabelle Lima-Taub. Protesters packed the panel's first meeting since Lima-Taub became embroiled in a national controversy after she said a Muslim congresswoman could "become a martyr and blow up Capitol Hill." Commissioners stopped short of censuring Lima-Taub, but they also passed a resolution requiring racial sensitivity training for city leaders. 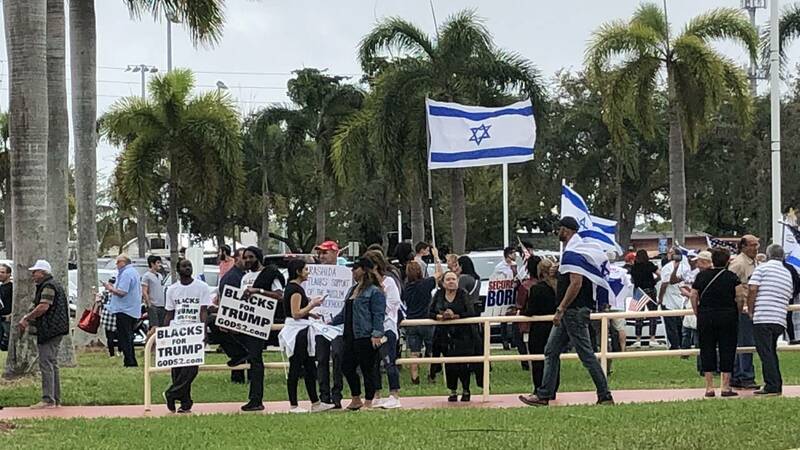 Hours before the meeting, more than 200 protesters for and against Lima-Taub had already gathered outside Hallandale Beach City Hall. When Lima-Taub entered the packed commission meeting room, her supporters cheered. 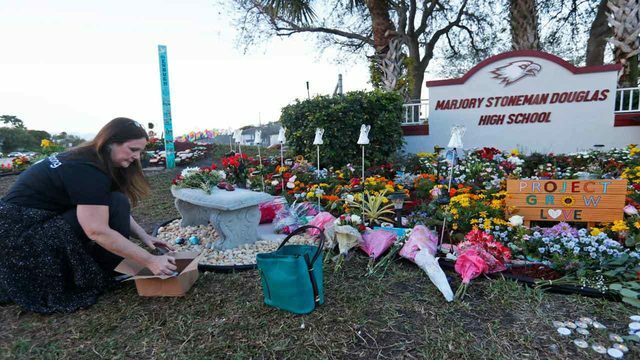 Lima-Taub made a statement about the controversy at the meeting, saying she felt "politically raped," feared for her life and didn't know how much time she had left on this earth. Hallandale Beach Commissioner Anabelle Lima-Taub says she feels "politically raped" after the controversy surrounding her comments about a Muslim congresswoman. Hallandale Beach police officers were dispatched to City Hall to keep the peace. At one point, officers formed a line to separate the opposing protesters. Earlier this month, Lima-Taub called for the removal of U.S. Rep. Rashida Tlaib, D-Michigan, with a petition on Facebook saying "A Hamas-loving anti-Semite has no place in government!" and calling her a "danger." The newly elected Tlaib, a Palestinian-American, recently made headlines for using profane language in her vow to impeach President Donald Trump. After other Hallandale Beach commissioners condemned the comments and national groups called on her to resign, Lima-Taub defended the remarks and doubled down on her criticism of Tlaib, accusing her of anti-Semitism because of the congresswoman's views on the Israeli-Palestinian conflict. "I never, ever mentioned Muslim or Islam," Lima-Taub said. Protesters supporting Lima-Taub outside City Hall held Israeli flags, saying Lima-Taub had the right to express herself. "She was speaking out against one individual, and was it hurtful? No," Joe Kauffman said. "What Rashida Tlaib has said was hurtful. When she, where she calls for the destruction of Israel, that's hurtful." Others there were demanding Lima-Taub make a public apology during the meeting. "We want an apology," protester Ammar Ahmed said. "We want (her) to apologize for her comments, to have a complete recant of everything that she said, and if she can't bring her to apologize, then we think a resignation is needed." Far-right political activist Laura Loomer was among the crowd on hand to watch the commission meeting. Before the meeting, Lima-Taub called Loomer up to the front of the room and embraced her.